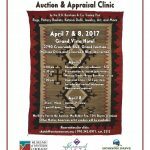 Bruce Burnham and his family have been trading Native American Art for five generations, with 2017 marking the second year that RB Burnham & Company Trading Post is partnering with Museums of Western Colorado and Horizon Drive District to present the Native American Art Auction & Appraisal Clinic, April 7-8. The auction comprises a variety of inventory consigned by weavers, potters, katsina doll carvers, jewelry makers, and Native artisan dealers and traders. On Friday, April 7 from 6-7 p.m., interested parties can attend an appraisal clinic where informal, verbal evaluations on specific items are available for educational purposes; full written appraisals also may be provided for an additional fee. On Saturday, April 8, the auction preview opens at 10 a.m., with the auction commencing at 1 p.m. Up for auction will be 250-275 pieces, including rugs, pottery, baskets, jewelry, Katsina dolls and other Native art. 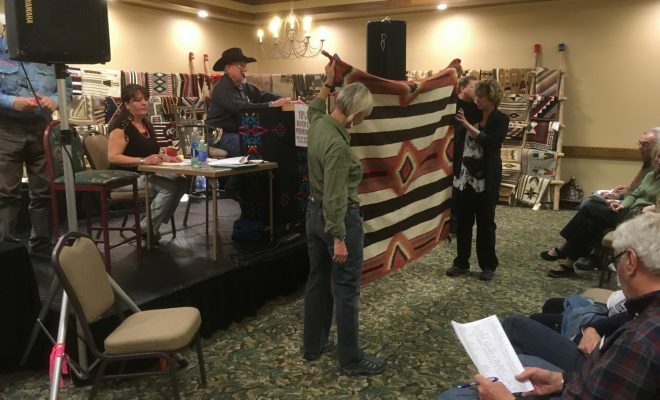 Most pieces are contemporary Navajo, Hopi or Zuni, made available directly from the artisans, but antique (early 20th century) rugs, pots or baskets often are found at auction, as well. The event will be held in Grand Junction at the Grand Vista Hotel, sponsor of the clinic and auction along with Horizon Drive District and the Museums. The auction is free, but registration is required: 242-0971. To reserve a spot at the appraisal clinic ($15/item), contact Carla Hatch at 970-242-0971 x212. For further details on the clinic or auction, contact Peter Booth at 970-242-0971 x204.